The present Legislative Assembly of West Bengal is unicameral, consisting of 295 Member of the Legislative Assembly (M.L.A) including one nominated from the Anglo-Indian community. Its term is 5 years, unless sooner dissolved. On 18 January 1862, under the Indian Councils Act of 1861, a 12-member Legislative Council for Bengal was founded by the Governor-General of India with the Lt Governor of Bengal and some nominated members.. The strength of this council was gradually increased by subsequent acts. Under the Indian Councils Act of 1892, the maximum strength of the council was increased to 20 members out of which seven members were to be elected. After the Indian Councils Act of 1909 the number raised to 50 members. 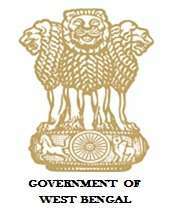 Wikimedia Commons has media related to Government of West Bengal. 1 2 "West Bengal Assembly". West Bengal Government. Retrieved 5 October 2012. ↑ "Protests in Bengal Assembly over atrocities on women". The Hindu. Retrieved 5 October 2012. ↑ "West Bengal (state)". Indian Government. Retrieved 25 June 2014. 1 2 "The Parliament of West Bengal, India". cpahq.org. Retrieved 5 October 2012. ↑ "List of Ministers in Mamata's cabinet". 27 May 2016 – via The Hindu. "West Bengal Government Publications". New Administrative Building at Nabanna. wbxpress.com. Retrieved 2006-10-28. "West Bengal Legislative Assembly". Legislative Bodies in India. National Informatics Centre. Retrieved 2006-10-28. "Election Database". Election Commission of India. Retrieved 2006-08-26. "Council of Ministers in West Bengal, 2016". West Bengal Govt. Orders. Retrieved 2012-08-16.